Facing the responsibility of caring for a loved one with Alzheimer's or dementia can be very stressful. No one should do this alone. We encourage joining an Alzheimer's support group, and seeking the professional help so readily available today. 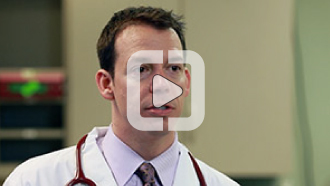 When a loved one's condition deteriorates, decisions become almost overwhelming. But research shows that hospice can possibly prolong life. Watch and learn more. 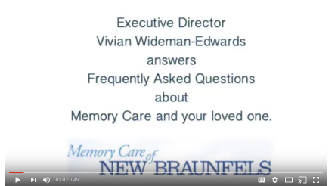 Memory Care of New Braunfels Executive Director addresses frequently asked questions regarding memory care and what to do when your loved one is diagnosed with Alzheimers/dementia. Being a caregiver is hard work and stressful. 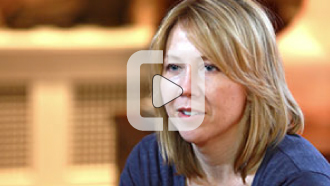 In this video, you'll find you are not alone, and also helpful tips on how to better take care of your loved one, and yourself. Learn how the importance of avoiding falls will lead to a healthier, extended quality of life. Advice and tips on simple changes you can make to provide a safer environment for Alzheimer's and dementia residents. You're invited to follow us, get helpful information and keep in touch with Memory Care of New Braunfels on your favorite social media channel. 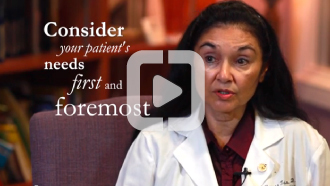 Learn about our commitment to providing education for caregivers and helping them with the latest knowledge and tools for helping dementia and Alzheimer's residents.